Hi! My name is Philipp. I started my career as a software developer in 1989 at the age of eight years on my beloved Commodore 64. My passion for great software is driving me ever since then. On this blog, I want to share some of my thoughts on software development methods, strategies, patterns and anything else that comes to mind. Behind every strong company are strong teams. And behind every strong team is a capable team manager who directs the team's focus and knows how to create an environment that allows individual team members to perform at their peak potential. The focus of this article are the numerous techniques used by successful team managers to help their team grow and overcome even the most difficult challenges. When applied correctly, the techniques and strategies described in this article can have a significant positive effect on a company’s bottom line, productivity, and culture. Many team managers start on the wrong foot by approaching their team with a wrong mindset. Especially when managing software developers, team managers must realize and keep in mind that they are responsible for highly intelligent, talented individuals with an abundance of creativity and excellent problem-solving skills. This fact is a common source of problems for inexperienced team managers, who tend to clash with opinionated team members over trifling issues. In contrast, experience team managers take full advantage of the aptitude of their team by maintaining an open mind and supporting the team’s technical decisions by not enforcing strict requirements. As we will explain in the following chapters, the right mindset of a team manager is actually the mindset of a leader. Unlike a manager, whose primary quality is the ability to control or administer, leader empowers and inspires. "A leader is at his best when people barely know he exists, when the work is done, the team will say: we did it ourselves. This is because the leader has empowered the team so much and they have become so competent that they are mini-leaders themselves, thus the leader is leading without actually leading them. This must be the highest form of leadership. Lead without leading", paraphrases the Chief Trainer Coach at Asia Coaching Training, Andy Ng, the ancient Chinese military strategist Sun Tzu. A strong vision statement is a critical component of any great strategic plan. Often confused with a mission statement, which explains why a company exists, a vision statement paints a picture of where a company is going. As such, a vision statement succinctly and clearly articulates an inspiring vision of a future which team members, as well as all stakeholders and even customers, can identify with at the emotional level. A strong vision statement is like a powerful inspirational speech, except that it is typically just a few words long. Some of the most powerful vision statements ever conceived talk about a distant yet reachable future. They are also direct, descriptive, and often audacious. They do not talk about revenue projections, shareholders, nor competition. Instead, they envision a common benefit whose importance is immediately clear to everyone regardless of their affiliation with the company the statement represents. Experienced and successful team managers understand the power of a strong vision statement to realize the full potential of their team, and they use it to their advantage. We can draw on years’ worth of scientific research in the field of management to illustrate just how effective of a tool a vision statement can be. For example, a 2014 report from TINYpulse surveyed over 500 organizations worldwide and analyzed more than 200,000 anonymous employee responses to answer a simple question: what motivates employees to go the extra mile? Perhaps surprisingly, the number one influence in encouraging employees to outperform expectations was camaraderie, the spirit of friendly good-fellowship associated with soldiers, who fight united to overcome seemingly insurmountable obstacles. Furthermore, nearly two-thirds of all employees felt discouraged by the lack of a strong company culture, which is to say by the lack of a strong vision that would motivate employees to strive for excellence. A team manager must be trained to recognize that their team lacks a purpose and come up with a strong vision statement to provide it. Once team members have a purpose, they need a plan. "This plan, designed by managers, should be set before the actual work begins. 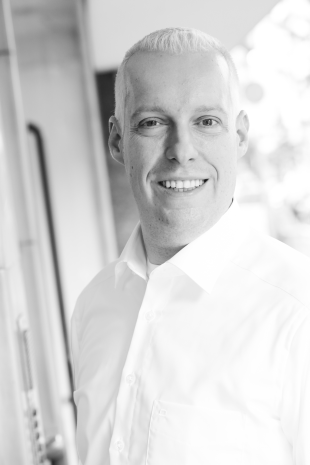 Managers should continuously encourage every developer to stick to the established plan", writes CEO & President of UM Technologies and its partner companies Scott Stiner. In software development, agile provides a proven and tested time-boxed approach based on iterative development, where requirements and solutions evolve through collaboration between self-organizing cross-functional teams, as described by the Agile Alliance. In other words, agile sets constraints as to what gets built in a given time frame and ensures that everyone focuses only on the plan ahead. Again, the work of a team manager does not end after a plan has been designed- far from it. A team manager should act as a filter against outside noise. We say "filter" on purpose because a good team manager knows which information they should allow to reach the team and which they should block before it distracts everyone for no good reason. A team manager's job is to allow their team to be as productive as possible. That means handling non-development work so that everyone else on the team does not have to worry about it. "For example, if managers are coders, they can assist in writing tests to make it easier for developers to continue with their assigned tasks", Stiner explains. Each team member should feel that the team manager has his or her back - not that the manager is on his or her back. "Most projects fail because of people, not technology. You are managing a team of people. Humans. Humans are weird, complex creatures", Peter Kelly provides a perspective of a seasoned software engineer with over 15 years of experience under his belt. 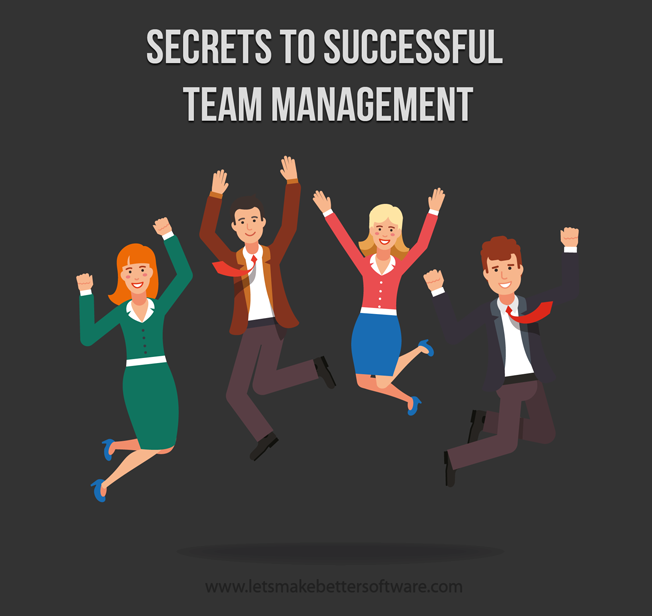 "Hiring, nurturing, coaching, maintaining and organizing a team of humans and managing that team to success on projects is the main job of a software manager." All team managers will do themselves and their employees a huge favor if they build relationships based on transparency and trust rather than controlling and reporting. Active listening and proactive communication are two foundational prerequisites for building this kind of relationship. It is easy to fall into the trap of simply walking around the office and asking individual team members how they are doing, but such effort is futile if not supported by genuine desire to establish respectful bonds. This brings us back to where we started: the importance of having the right mindset. It is impossible for any team manager to foster healthy relationships with team members unless the manager trusts the team members to do their jobs. As Ilja Preuß, a software developer at Disy Informationssysteme GmbH, suggests, "Find out what the developers like to do and find a way to let them do it so that it benefits the company. The most motivated people are those who do what they like doing." When team members see that the team manager believes in them and goes above and beyond trying to remove every obstacle to allow them to focus on their work, they are much more likely to support the team manager's decisions when the going gets tough, which can be the difference between a team that sticks together and surmounts even the most difficult of challenges and a team that crumbles under the pressure of a deadline, unforeseen complications, or some last-minute change request. In fact, a study from Office Team examining the impact of appreciation, or lack thereof, in the workplace found that 66 percent of employees would "likely leave their job because they didn’t feel appreciated" and the number jumped to 76 percent among millennials, who are generally known for placing a higher value on healthy company relationships than previous generations. The ability to show genuine appreciation and naturally communicate on a personal level is where the difference between average and exceptional team managers shows the most. Exceptional team managers have an innate understanding of the fact that team members who feel respected and valued work harder. They are not only able to praise and recognize a fruitful effort, but they also feel the need to do so because they understand that the recognition of efforts is one of the most important functions of a manager. "Think of leadership like computer programming. Dedicate some time to the backend to create a strong team and set them up for success. Come launch time, just step back and admire as they thrive. As a leader, you will know you have successfully built a strong team when they work effortlessly without you. The icing on the cake? Although they don’t rely on you to function, they still want you there", Marketing Strategist Taunya Williams summarizes what the role of team manager should be about. The role of team manager requires a broad range of personal competencies, not all of which can be easily acquired from books or experience. The best team managers give their team members a sense of feeling that they are strongly supported, valued, and trusted. They motivate by creating a strong vision statement behind which everyone can rally, and they help their team maintain focus on what really matters by filtering out what does not matter. Perhaps above all, excellent team managers foster healthy relationships with individual team members and understand the value of making someone feel appreciated. How can DevOps contribute to Digital Transformation and Innovation?